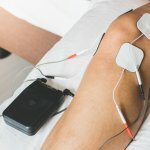 Knee Pain Symptoms: Should I Be Worried? 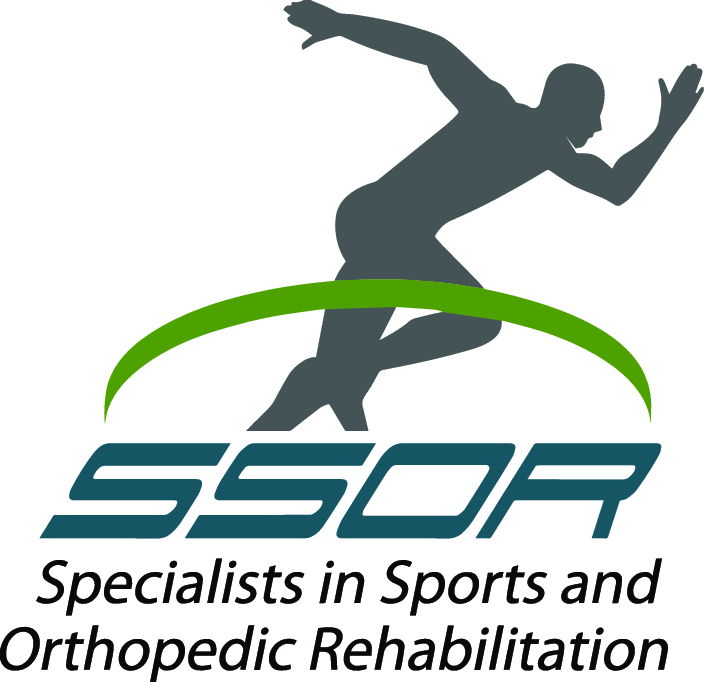 Without question, knee pain is easily one of the top two things we see at SSOR, back pain being the other. 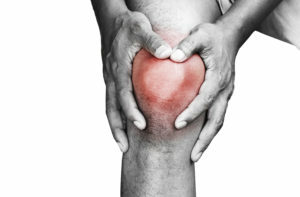 Knee pain comes in many forms, has many reasons, and affects people across the lifespan. People consistently report certain things aggravate them, and that is often enough for us to know what’s going on. Our physical therapy examination then more confirms what we already know. This post will describe what many people tell us and what the potential problem might be. Rest assured, we can help you with each of these conditions. One of our physical therapists is fellowship-trained in the knee and shoulder. As a result, you should feel confident that our approach will give you some definitive direction. 1. Symptoms: You can really be any age. Your pain is around the patella (“kneecap”). Pain is worse with sitting too long (like watching a movie or driving too long), you have knee pain going downstairs, during squatting, and with physical activity. It may hurt more to wear high heels than flat shoes. Your pain is mostly achy and intermittent. You might be a young athlete who does lots of running or jumping, typically affects young females the most. You get relief from sitting down or resting. DIAGNOSIS: More than likely, you’re just having general anterior knee pain, possibly from some degenerative changes under the patella. Could be from overuse as well. Can be treated easily with exercises, ice, stretching, and activity modification. The physical therapists at SSOR can give you guidance on that. Not to worry, call us! 2. Symptoms: You feel crunching/grinding/”Rice Krispies” in your knee when you bend/straighten your knee. You’re more than likely at least in your 20’s. You seem to feel the noises when you squat or go downstairs as well. You have many of the symptoms in #1. DIAGNOSIS: You have some degenerative changes under your patella. You may hear it called “chondromalacia.” Think of smooth, healthy cartilage as a slick surface, like a freshly cleaned ice rink. The noises you hear are from the frayed cartilage under the patella rubbing against the thigh bone (think of cobwebs or crabmeat hanging down). Believe it or not, that is NOT your source of pain, even though most people think so. The noises can be relieved with an arthroscopic surgery, but you need exercises, ice, stretching, and activity modification to help relieve this. Not to worry, call us! 3. Symptoms: You may or may not have had an incident where you were squatting or twisted on one knee, like squatting down to garden, or planting and twisting in a sport. You may or may not have felt a sharp pain. Going UP stairs is painful (but down may not be though). Your knee may buckle or give way randomly. You may not be able to extend (lock out) your knee or bend it because something is “blocking” it. Usually hurts alot to squat at all on that leg. Walking may or may not be painful. You could really be any age. If it’s acute, swelling didn’t show up till a day later or so. DIAGNOSIS: You may have a meniscus tear. Most people need a repair or get the fragment removed by a knee scope procedure. Sorry, these don’t heal on their own well because the blood supply is so bad. That said, if you are older, it may be a more “degenerative” tear and you might do OK with physical therapy. Let us check you out first. 4. Symptoms: You landed from a jump/cut/planted/or possibly got hit from the outside of the knee. You felt a pop and collapsed to the ground. You immediately clutched your knee. Your knee swelled immediately. You feel a little unstable walking. Again, you could be any age but this is more than likely something that happens when you are active or playing a sport. DIAGNOSIS: Probably a torn ACL. Some people can “cope” with it, others cannot. Whether or not you can do this without surgery is often based on your activity level and age and if you are having giving way episodes. Most people need these fixed if they desire any level of continued physical activity, particularly in people that play sports that involve cutting and jumping. This video may help you decide on what ACL graft is best for you. 5. Symptoms: Your likely an athlete of some sort. Could be young or old. Activity seems to make your knee feel better, but you usually hurt at first when you start and then after. If this progresses, it may hurt during day to day activities. If you are a young athlete who’s had a growth spurt recently and plays sports that involve lots of running and jumping, this could be you. You’re tender over the tendon below the patella. DIAGNOSIS: Likley have patellar tendinitis, or if chronic, tendinosis. Patellar tendinitis is also known as “Jumper’s Knee.” Both should be treated differently. Come see one of our physical therapists and we’ll show you the BEST exercises for this. Ice, counterforce straps, stretching, and strengthening really help this, along with activity modification. 6. Symptoms: You are likely a younger person. You cut/landed weird/collapsed after a jump. You felt a pop, but you were able to walk. Your knee likely swelled the next day. You may be walking find and then all of a sudden feel a sharp pain that literally drops you to the floor, then you are fine. Typically hurts to squat, run, jump. DIAGNOSIS: You could have an articular cartilage injury. Think of a small crater at the end of your bone. You likely need a knee scope of some kind to alleviate pain from this and should probably see an orthopedic surgeon. 7: Symptoms: You fell directly on the front of your knee. Maybe you were in a car accident and your knee hit the dashboard. Maybe you’re an athlete and somebody “slid” into the front of your tibia (“shin bone”). It hurts to bend the knee and it hurts behind the knee. DIAGNOSIS: You may have a posterior cruciate ligament (PCL) tear. This is a less common injury and rarely needs surgery. However, you should have structured physical therapy. 8. Symptoms: You ache in the morning but feel better after moving around or during the middle of the day. Being on your feet for a long time makes your knee hurt. Pain usually starts in back of the knee, but typically aches over the whole knee. You usually feel better off your feet and maybe the first few steps after sitting a while hurt or make you limp a little. You are likely at least in your 40’s, could be male or female. Heat typically feels good. DIAGNOSIS: You likely have arthritis. There are actually many things you can do for arthritis. Manual therapy, exercise, stretching, and activity modification are all things a physical therapist can help you with. In some cases, steroid injections or lubricating injections can help. There’s a host of other structures that could be injured or problematic. These are the most common that we see at SSOR though. Get in touch with us if you don’t see your knee here and we’ll help you figure out what to do. Remember that in Kansas, you no longer have to see a doctor first before you get physical therapy – give us a call! We have locations in Overland Park & Prairie Village to serve you.